Sharing my column for a local magazine. After I published my first column a few months ago in The Lincolnshire Journal I knew that a lot of my readers would not be able to access it. I am so proud to have my own page in this magazine and I wanted to make sure the work I put into it gets shared further a field too so I have decided to share each edition on here a few weeks after publication. This one is obviously a bit more out of date now as I am only just getting round to sharing but this was the November issue about party dressing. The party season can often throw up all sorts of worries about what to wear to sparkle. For me, Christmas party dressing is about finding something truly festive and, no, that doesn’t mean an actual Santa suit, but more something that helps represent the colours and magic of the Christmas season. 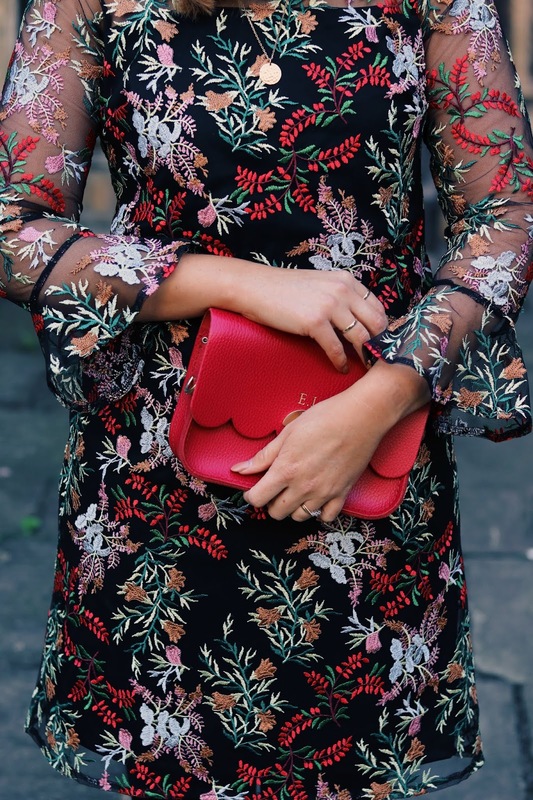 Now, I am not one to worry about going bold, in fact a bright red dress is so very fitting at Christmas, but for parties I do prefer to focus more on detail rather than colour. A party dress has to represent the event and at Christmas time there are so many options to consider when searching for the perfect one. Embellishment can be your best friend, and for me, everything is good. Whether it’s sequins, beads or embroidery, enjoy picking clothes that bring the fabric to life. Embellishment can also be movement in the fabric which is really complementary and will flatter all body types. 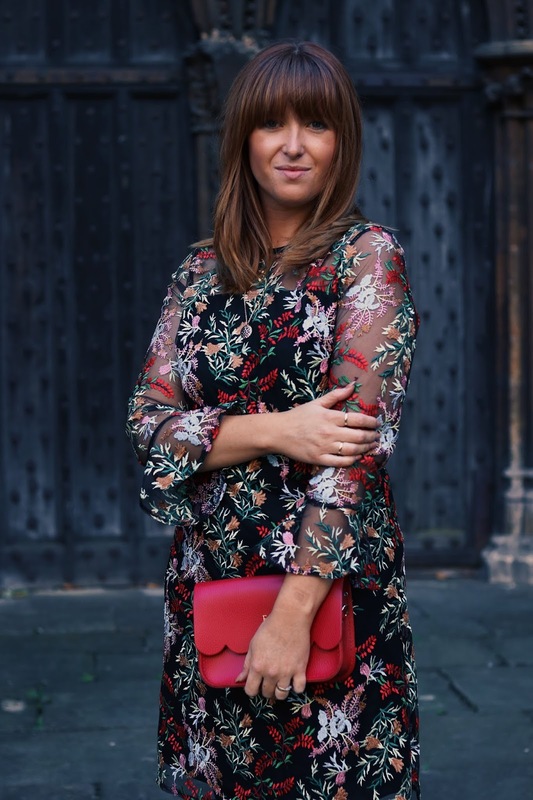 I love a sequined dress or skirt; sequins immediately excite and there is something very special about the glittering effect when heading out in sequins which can make a dreary December much brighter. If you are looking for something plainer but with detail, embroidery is a great option. You will find outfits with beautiful stitching in most stores. Gone are the traditional, embroidered frocks; now you can find items that use embroidery to intensify pattern and bring colour to simple items. For me, sticking with something that is classic and black, which has been emblazoned with colour in a simple way is always going to be a winner. This dress from NEXT is a great example of that. Layer up with black tights and comfy courts (specifically for dancing) and let the dress do the talking. What I really want you to remember this party season is: enjoy dressing up. I find it doesn’t happen often in life nowadays so when the opportunity arises embrace it! Be comfortable, feel confident and look amazing!